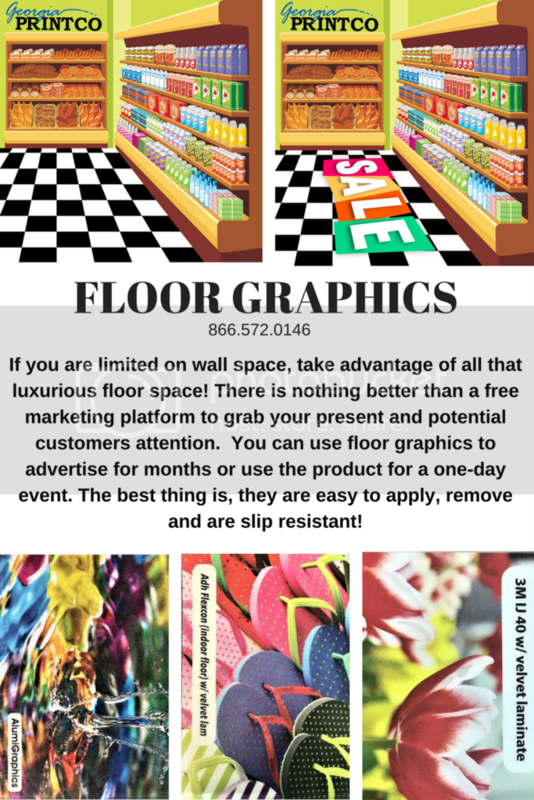 Take advantage of floor graphics! Floor graphics are easy to apply and remove for any event. Remember to add a velvet laminate for slip resistance.